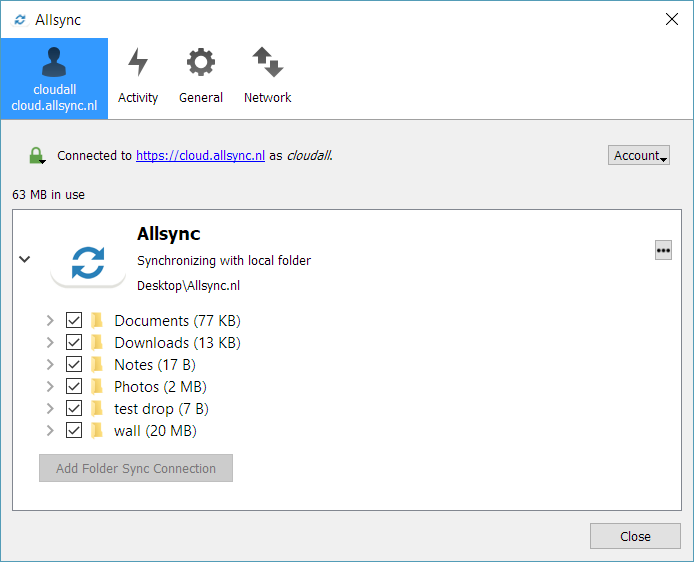 Access all your files on your laptop / desktop using Allsync client software. Backup all your important files,full computer/hard drive? Choose the maps you want to backup or download. You can add more than one account to our sync client. Search functions, favorites, tags and even more ways to reach the files you need quickly. Full Text searching is available. There is not file size limits. You can upload unlimited files. Restore recycle bin files, files in trash could be cleaned if you need storage. Work on same document with others, share folders, create groups. Free subdomain yourname.Allsync.com or register your own domain names. Download and upload unlimited files, there are no limits.